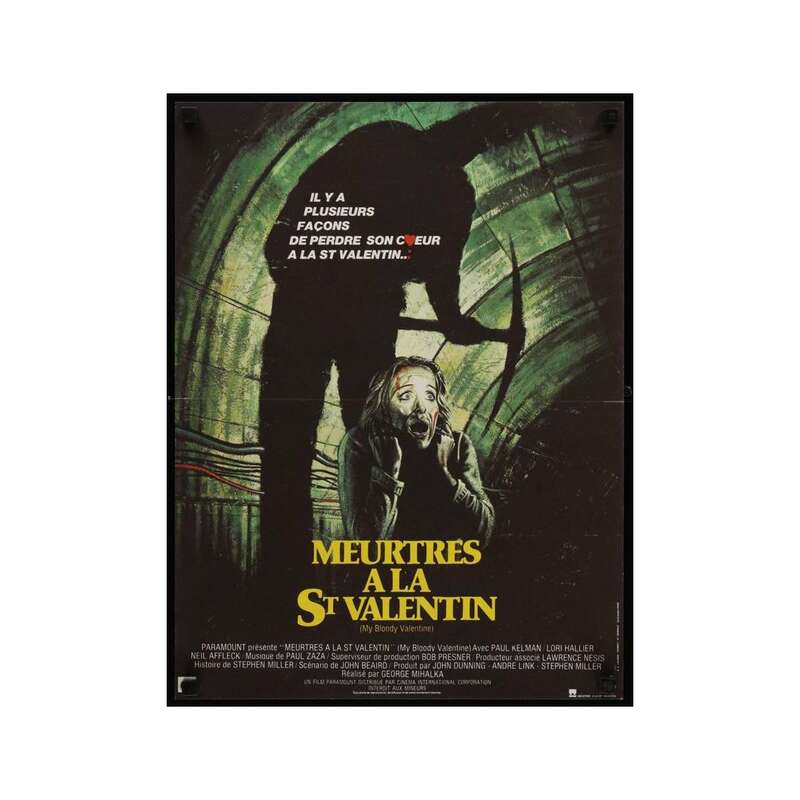 > Movie Posters>Film Posters>MY BLOODY VALENTINE French 15x21 '81 cool different artwork of killer w/pick in tunnel! 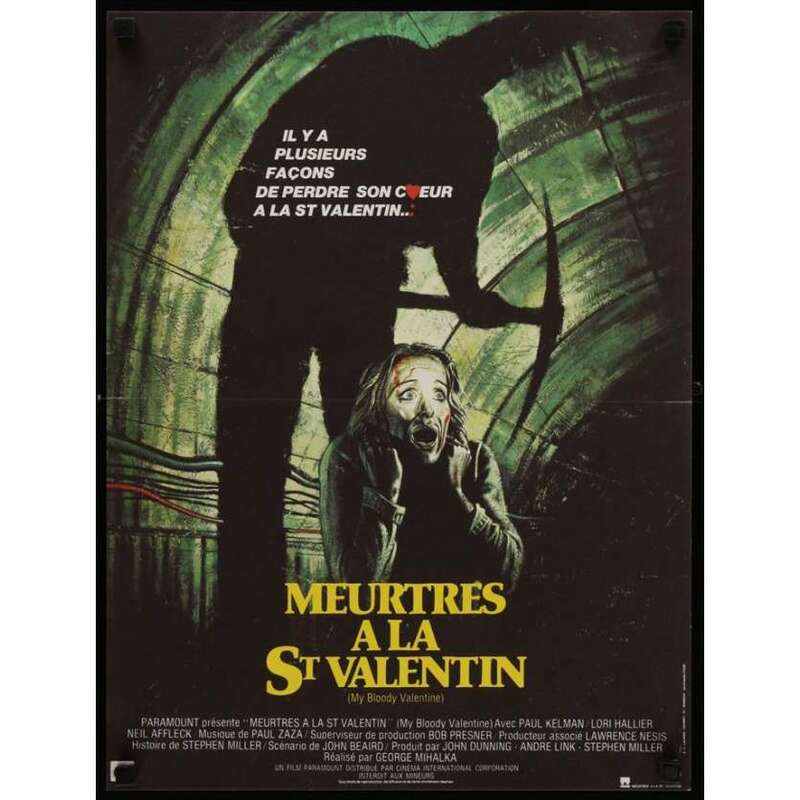 MY BLOODY VALENTINE French 15x21 '81 cool different artwork of killer w/pick in tunnel! My Bloody Valentine is a 1981 Canadian slasher film released in the wake of the popularity of the slasher genre that had overtaken the 1970s. The movie is infamous for having had 9 minutes cut by the MPAA due to the amount of violence and gore.